Xiaomi one of the largest smartphone vendors in its homeland - China - and it's one of the most popular Asian mobile brands. It has given the world the popular user-friendly MIUI for Android. 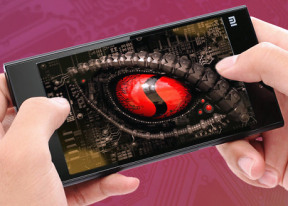 But the crown jewel, of course, is their current flagship phone - the Xiaomi Mi 3. The Xiaomi Mi 3 is the company's best-selling phone to date packing top-notch technology and blazing-fast Android experience. The MIUI launcher feels at home on a Xiaomi phone delivering amazing performance. It is very easy to use and yet hides some powerful functions and services for advanced users. The Mi 3 has it all - a wonderful unibody design made out of polycarbonate, a 5" IPS display of 1080p resolution, a top-notch Snapdragon 800 chipset with 2GB of RAM, a capable 13MP camera with Full HD video recording, and a massive 3,050 mAh battery for long-lasting smartphone experience. Sounds great, right? Here comes the complete feature list. The implementation of a unibody shell has required some sacrifices though, as in the inability to replace your battery being the most major. The lack of microSD card slot is surely a bummer for some, but this trend seems to be spreading among lots of popular manufacturers lately. The lack of 4K video isn't something we would hold against it, if it wasn't for its flagship status. Enough with the small talk, let's get down to business, shall we? Our Xiaomi Mi 3 exterior tour kicks off right after the jump.